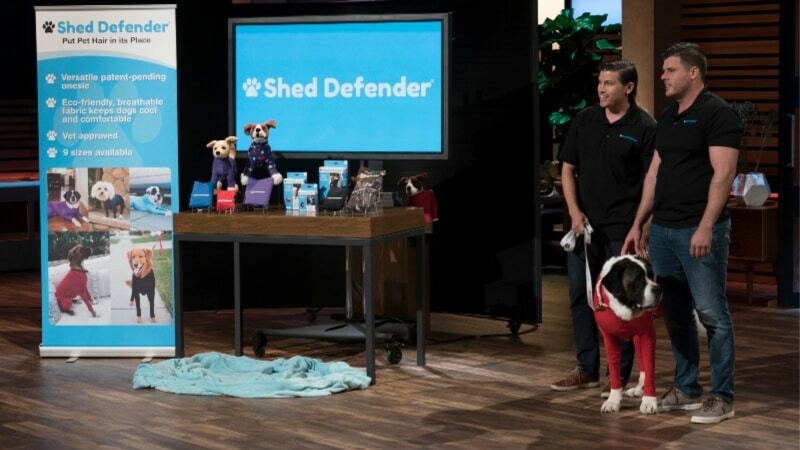 Tyson and Myles Walters stopped by Shark Tank to pitch their product, Shed Defender, this week and it’s definitely an interesting way to keep dog hair from taking over. The brothers asked the sharks for $250,000 for 10 percent equity. They introduce a bodysuit for dogs to prevent shedding in the home, car, and everywhere else that dog hairs are a nuisance. 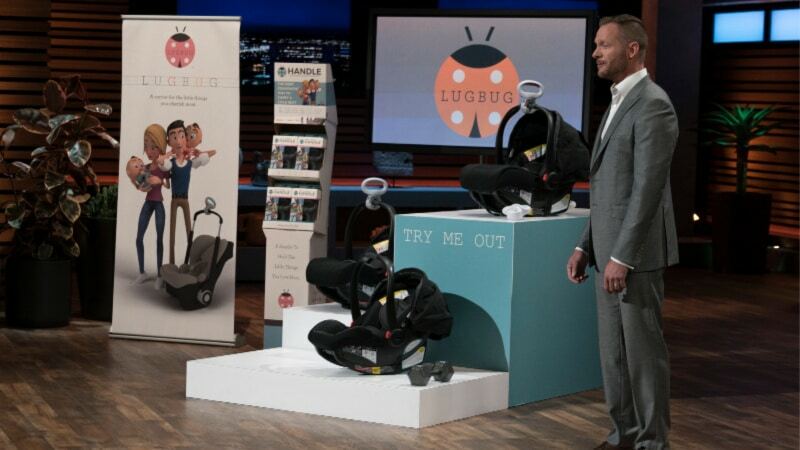 Even though the sharks initially laugh at the product, the company has a good handful of happy customers. On the company’s website, Tyson Walters explains that he’s the founder of the product and came up with the idea out of personal need for something to help with the shedding of his own dog. Shed Defender’s website reveals there’s plenty of good things that come from using their product. The suit helps control shedding, which means your house and car remain clean. In addition, allergens and dander are kept to a minimum throughout the house and car, which is great for those who have allergies but still have pets. Another interesting perk is that dogs that suffer from anxiety may benefit from the suit. The company claims that the suit has a calming effect once it’s on, preventing constant barking in some cases. The suit is also designed to keep the dogs safe during cold winters, preventing their hair from freezing when running outside in the show. Plus, you no longer have to deal with ticks and insects. Lastly, the suit can help protect surgical cuts on your pets, allowing them to heal. If you’re wondering how your dog will potty while wearing the Shed Defender, that question is also answered on the product website. The suit has a zipper that runs from chest to tail that just needs to be unzipped during potty breaks. The Shed Defender suit does not need to be removed. You can buy the Shed Defender suits on the company’s website in 9 different sizes, going from Mini to Giant. The prices run from $39.99 for a mini to $62.99 for a Giant suit with free shipping. You can also find the product in limited colors on Amazon. 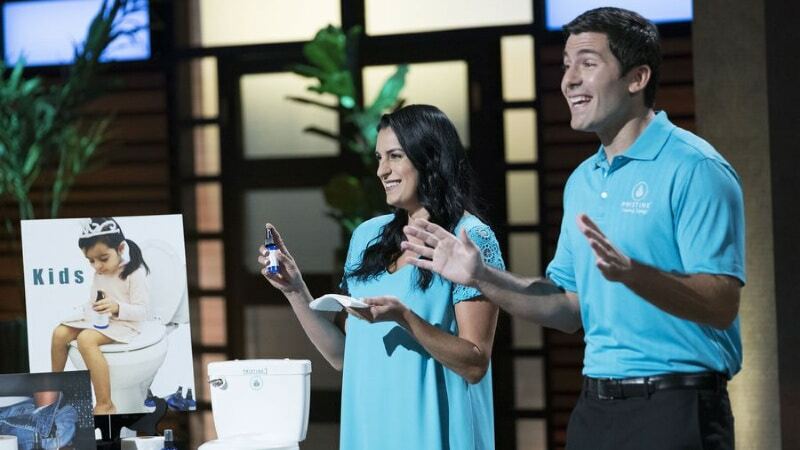 Shark Tank airs Sundays at 9/8c on ABC.